Former French Sports Minister Roselyne Bachelot has been ordered to pay $14,100 to world number one Rafael Nadal after she accused the Spaniard of using banned performance-enhancing drugs. A Parisian court ruled that Bachelot, the French Minister for Health and Sports between 2007 and 2010, was guilty of defamation. She was also given a suspended $588 fine by the court. 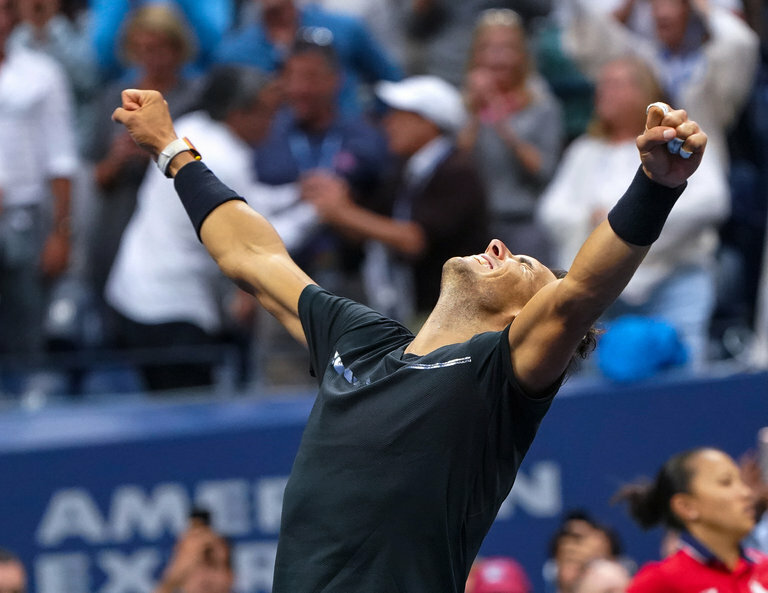 Nadal, who pulled out of the ongoing Association of Tennis Professionals World Tour Finals in London through injury, was seeking $118,000 in damages. He is likely to donate the money to a French charity after saying he would do so if he was awarded any damages from the case. The 16-time Grand Slam winner had sued Bachelot because he claimed her comments, made on French television channel D8 last year, were harmful to his image. Bachelot had claimed that Nadal’s seven-month injury break in 2012 was due to a failed drugs test. Among the documents presented by Nadal at the hearing in October was his medical file, which listed a serious left knee injury. “If somebody like her, who should be serious, can say this stupid stuff then now is the moment to say, ‘OK, from now everybody who is going to speak of this kind of stuff with no proof then I’m going to do the same and take legal action against that person,” the Spaniard said when Bachelot made the accusations. “In the past I didn’t want to go for justice, to sue the people who said these things because I didn’t think they were serious, but a Minister of France should be serious. Previous articleIs Bale’s Time Up at Real Madrid?